Due to Dr. Rodriguez's 38+ years of Chiropractic experience, individuals from all over Coachella Valley seek him out to get better results, faster. 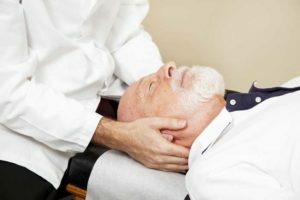 Even though his Chiropractic office is based in La Quinta, CA, many people from Indian Wells, Palm Springs, Palm Desert, and Indio come to him for effective treatment and long-lasting results. What makes our Chiropractic office different than the others? Chiropractic is a health care profession that is focused on diagnosis, treatment and prevention of disorders of the spine as well as other parts of the musculoskeletal system. This is done by gentle and safe spinal adjustments that are designed to realign the spine. Once that is accomplished, our La Quinta, CA office then addresses the “cause” of the spinal misalignment. Once the cause is discovered it is then treated so that the misalignment does not return. We use the most advanced Chiropractic methods available to eliminate the cause of the spinal misalignments and accompanying inflammation in order to eliminate the need for prolonged treatments and “Maintenance Care”. It is our philosophy and ultimate goal to correct the cause of your spinal pain with as few visits as possible, and as quickly as possible. Dr. Rodriguez's office is open Monday through Friday in La Quinta. Give is a call if you have any questions and we will be happy to answer them over the phone. Walk-ins welcome.